Families can experience many emotions while navigating the holidays, whether in still waters or rough seas. Friends and families come together and we place at the forefront of our thoughts all of the joy of our connections that we sometimes forget in the day-to-day. In these special times, our gratitude for life and joy in all we share is so sharply focused that many describe these as “magical” times, bursting with wonder and delight. The flipside to this coin is that emotional pain and difficulties may also be magnified during these times. We miss lost loved ones a little bit more. We remember and wish for simpler times. We feel the weight of difficult circumstances a little bit heavier. In few ways is this phenomena more realized than with families who have a loved one in very early recovery. Strong emotions combine with a multitude of questions to create a feeling of constant pressure and walking on eggshells. Families want to know how they should act around their loved ones new to recovery. They ask if they should have alcohol at gatherings, who should be invited to functions, even if they should participate in celebrations at all. They wonder if they should give gifts or hold back. They agonize over how to have a “normal” holiday, often having had so many where their loved one was actively using substances – or even absent altogether. As someone who has been in this position, I can share that there are three important guiding principles that can help families navigate these times. 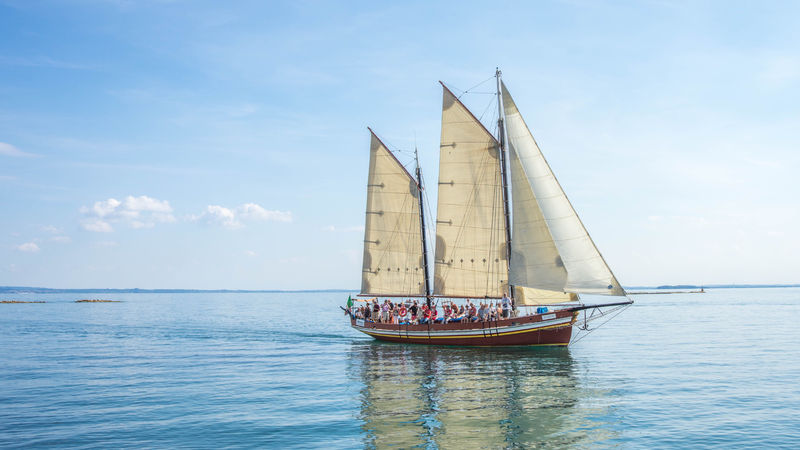 In sailing, the seasoned mariner knows that no matter how exact he is in his rigging and tacking and moving all of the parts of the boat, he cannot control the wind. Knowing what we can and cannot control, and then practicing the art of accepting that which I cannot, is paramount in keeping sane during these times. I remember the first time I went to an AL Anon meeting and I was told that I could have peace in my life even if my loved one was still drinking and using substances. I thought it was the craziest thing I had ever heard in my life. And yet, it is true. At the end of the day, no matter what you do, you cannot control your loved one’s recovery. That is the wind to you. You can let go of that outcome. You must let go of that if you are to find peace. This is incredibly difficult to do alone. No matter how smart or strong you are, getting support from others who understand what you are going through is critical. Participation in groups like AL Anon, Families Anonymous and other support groups for people who have family members struggling with substance use should be as important as getting gifts ready for the season. When a person has an allergic reaction to a food that causes them to nearly die from anaphylaxis, they may end up in the hospital for days. They may feel weak and be particularly vulnerable to that allergen. It would make perfect sense that in preparation for that person to come home from the hospital, we would clear the house of the allergen and encourage others not to bring it into the home. Eventually, in time, as the person gains strength and learns how proximity to the allergen affects him, he may be fine with it next to him. In the same way, it is a good principle to keep alcohol, medications that can be misused and any other substances out of the recovery environment of a person in early recovery. In time, a fully recovered person may be able to be around alcohol with no problem at all. For this first holiday season, though, it is usually better if it is not around. This principle will cover so much more than one might imagine if it is bravely pursued. As I have already mentioned, family members have many questions about how to act and what to do around a loved one in early recovery. Also, they have questions about how much should be shared with others in the family and circle of friends. A simple, though sometimes counterintuitive way to handle this is to ask direct questions — And ask permission to ask, too. What might happen if you approached a loved one in early recovery and said, “I am new to this and I have some questions. Would it be okay if I asked you about your perspective on the holiday?” In my experience, I was able to get so many answers that I could never have figured out on my own even though I had been agonizing over them for weeks. Ultimately, there is no magic formula to make things perfect for this holiday season. And I’m pretty sure there is no such thing as a “perfect” holiday season, anyway. In fact, it is often the bumps, hiccups and awkward moments that make for the most laughter and joy when we are accepting of the reality and beauty of our imperfections. If you have a loved one in early recovery this holiday season, know that you can have joy and peace in your life and your home no matter what happens. Know that the actions you can take are like the mariner’s work on the sails — but remember that the wind is out of your control. So talk as openly as you can and push yourself beyond your comfort zone to open up even more. Reach out for help and remember that everyone deserves the gift of support, including you. May peace find you and your family and may you all celebrate life this holiday season.